Do you have questions about payment? Buy tokens and make your fortune with us! Advice for investors, acceleration of projects, resolution of disputes. * The expertise is of an informational nature and can not in any way be a legal basis for investing. ** Possibility of reselling tokens of projects at the Descrow platform to late or wholesale investors registered on the platform before the release of projects' tokens for exchange trades. DES – Decentralised Escrow Service (Descrow) is the first in the world and unique by its nature decentralised escrow platform for conducting ICOs. To make safer ICO for all participants. To eliminate the excessive distrust of the potential investors to the new startups. Give a boost to the further ICO market growth. To integrate our idea as a versatile instrument into all applicable blockchain segments. Underlying document of the entire project, which comprises the detailed structure description of the company’s operation, platform specifics, legal aspects of tokens, project economics and profit opportunities for the DES tokens holders. Launch and conduction of ICO. Finalizing ICO. Start of token sales of exchanges. Development of the Descrow Platform on other blockhains capable for tokens release and smart contracts usage. 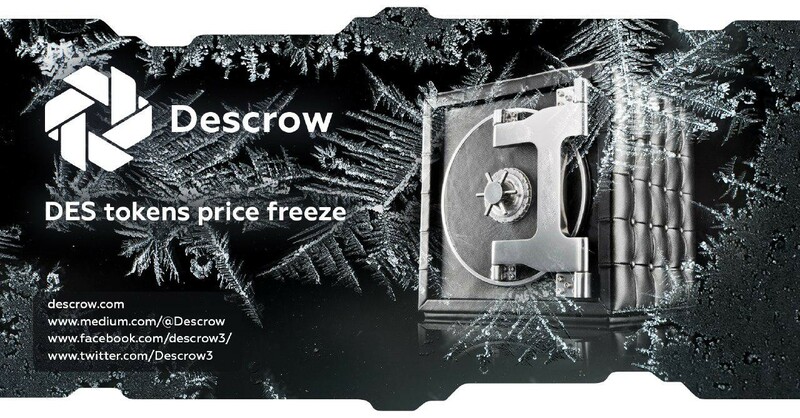 Jan 27, 2018 12:49ICO of Descrow has come to an end. 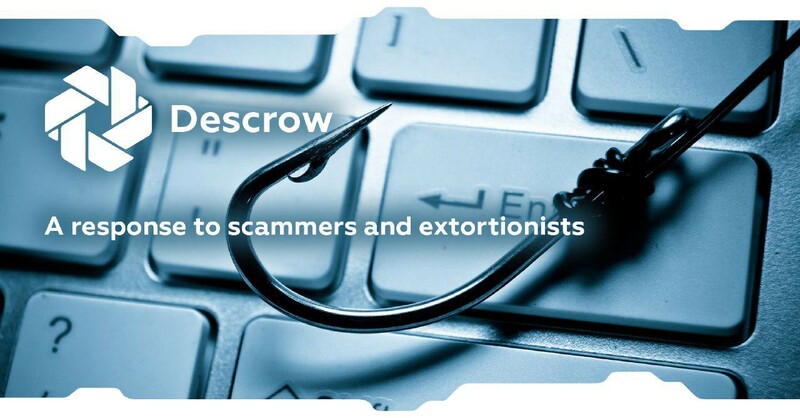 ICO of Descrow has come to an end. Investment and technologies transfer consultant, SFU scientist-economist, Director and co-founder of the School of Investments in modern technologies "SIMT". Master mind. 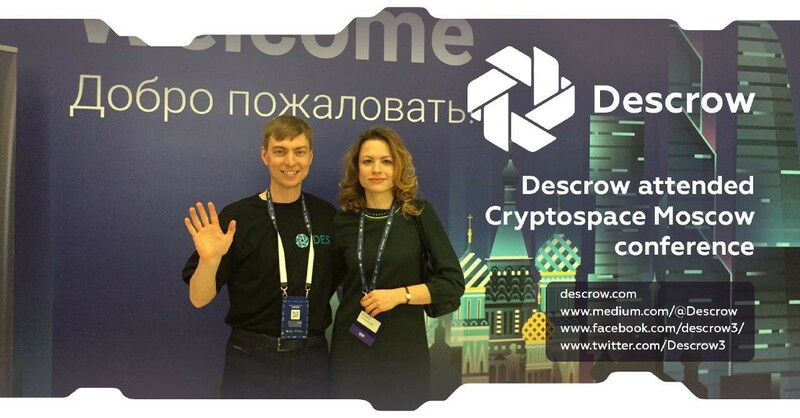 Founder of Descrow and Blockchain Assosiation in Russia. Strategic manager. Businessmen with 10+ years' experience in development and promotion of his own brands. Author of methodology of business projects and personnel assessment. Co-founder of the School of Investments in Modern Technologies "SIMT". Founder of marketing agency, serial entrepreneur, experience in advertising and marketing for more than 8 years. Developer with 20 years of versatile experience, including development of highly loaded systems and blockchain systems (since 2016). Member of the Association of Blockchain in Israel, a blockchain enthusiast. Business Development and Public Relations. ICO analyst at ICOBench. Сhief editor of the Irish leading technologies' online magazine 'Irish Tech News'. Top-100 of 'The most influential blockchain people'. Expert in financial technologies and robotics. Colbert is a Senior Advisor with over 12 years of IT global operations and project management experience. He is the Vice-Secretary for ACCESS Blockchain Association Malaysia and he owns a blog at bitcoinmalaysia.com. Venture advisor. Da Vinci Capital Vice-president, ITinvest BoD member, expert in private & venture capital investments and structuring in FinTech & B2B tech. Russia Ambassador of ICO paltform and decentralized exchange OpenLedger DEX. Coinsbank representative in Russia. Genesis Block rep, 12+ experience in electronic commerce and processing - Predprocessing, QIWI, CyberPlat, Alfa-Bank, Sberbank. FinTech Expert. Co-founder of FinTech Cluster in Ukraine. UELBU Vice-President, expert in FinTech and mobile banking, business-architect of mobile wallet and online services. A Chartered management accountant (CIMA). Сrypto investor. CEO and Founder of Perhalic. Expert in Israeli Blockchain Association and ICO Bench. Humaniq Ambassador from Bangladesh. Founder and manager of Chain.Cloud. 10+ years' experienced software developer. Author of a blog Custom Blockchain (DLT) technology products. Computer Science Engineer. Project Manager at CLOUT. Expert at ICO Bench. Cryptocurrency Trader and Enthusiast. Admin at Crypto Warriors. Former Marketing Director with 20+ years of Sales & Marketing experience at Intel Corporation, an expert in India & South Asia markets technologies. Founder and Chairman at LDJ Capital. Leader in cryptocurrency. Founder, CEO, and Chairman of the Board to Kraus Industries.